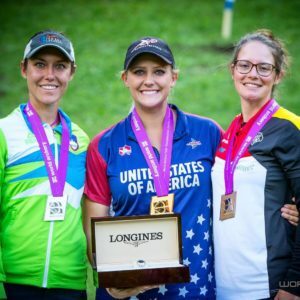 Recently, we caught up with world champion athlete, Paige Pearce. 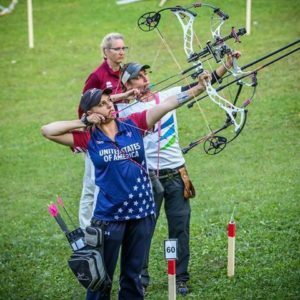 A winning archer since the age of 13, Paige travels the world competing and just returned from various tournaments in France, Iowa, Montana, and Rome. Paige broke her first state record in archery at 10 years old and was hooked. 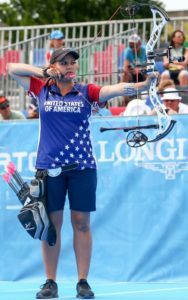 She went on to break 14 national records and qualified for the U.S. Archery Team. There, she won her first gold medal in 2008 at the Junior World Championships. In 2009, at the age of 14, she won her first gold medal as an individual on the team. 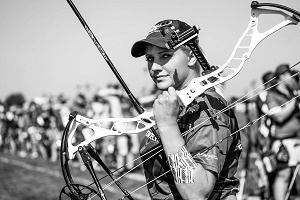 Then, Paige went on to a career breaking around 115 state, national, Star FITA, and world records in the archery industry via World Archery, USA Archery, National Field Archery Association, Archery Shooters Association, Lancaster Archery Classics, The Organization of Professional Archery, and more. This winning athlete is very busy, but she still finds time for family and friends. In addition, she runs a non-profit called Kids Outdoor Sports Camp and works as an associate at Sportsman’s Warehouse in Redding, CA. How does she do it all so well? I like to meet new people and share my love of the outdoors when I’m not competing. Because of this, I’ve been with Sportsman’s Warehouse for about six years. They are great about working with my schedule. I started in the Archery Department and now work behind the gun counter. By working at Sportsman’s Warehouse, I can teach people about archery and hunting, share my expertise and have them make wise purchase decisions so they get exactly what they want and need without wasting time or money. I love it! I also run a non-profit organization called Kids Outdoor Sports Camp where we do summer camps for kids. I’m the hunter instructor so attendees get their hunter’s education throughout the week, and we shoot archery, rifles, shotguns, and black powder, and go fishing and do conservation projects. I can do a lot of this work from the road online like send emails, make phone calls, and set things with donors. I just find what works for my schedule and fit it in accordingly. What are some of your secrets to success? This sounds cheesy, but I never give up. I knew that I loved competing and that I loved shooting. That’s what I wanted to do, so all through school, I did whatever I had to do to make tournaments work. It takes a lot of hard work, dedication and time. But, if it’s something you love, it doesn’t feel like work. I just go into it with a mindset of I’m going to succeed, I’m going to win, I’m going to do my best, or I’m going to do everything I can to make whatever it is I’m doing work. I’ve just kind of attacked everything like that my whole life, to kind of make it all fit into place and work in the time schedule that I have allotted. What tips do you have for handling work, competing and family life? I’m a super independent person, which I think makes what I do a lot easier. I have a really great group of friends at home, and I have a close group of friends on the tournament side who are almost like family because I spend a lot of time with them year-round. And, my family back home is incredibly understanding of what I do so I’m very fortunate in that regard. What tips do you have for reaching goals? You have to have goals set to be able to reach them. I start with the big goals, and then I work backwards to get to the grassroots part of how I am going to implement this into my everyday life. Then, I keep working toward that end goal. Mindset is also important. You have to have confidence in yourself and confidence in what you’re doing. I work on mental management systems, or basically, a way to think to be more successful or to get in the zone (when you need to be in a zone) or stay confident or calm. Visualization is huge. If you can visualize for a minute every night before you go to bed on what you want to accomplish the next day, that’s one of the best kinds of mental training that you can do. Then there are other little tricks like daily affirmation cards. Here, you write on a card like you’ve already reached your goals (I won a gold medal, I gave a great presentation and got a 25% raise, etc.) and post it around the house where you will see it every day. Seeing that over and over and over helps your subconscious mind gain that confidence, and that goal and have the ability to have that be within your comfort zone. Paige is a successful young athlete and businesswoman who has made her dreams a reality. Are you ready to set and reach your goals? 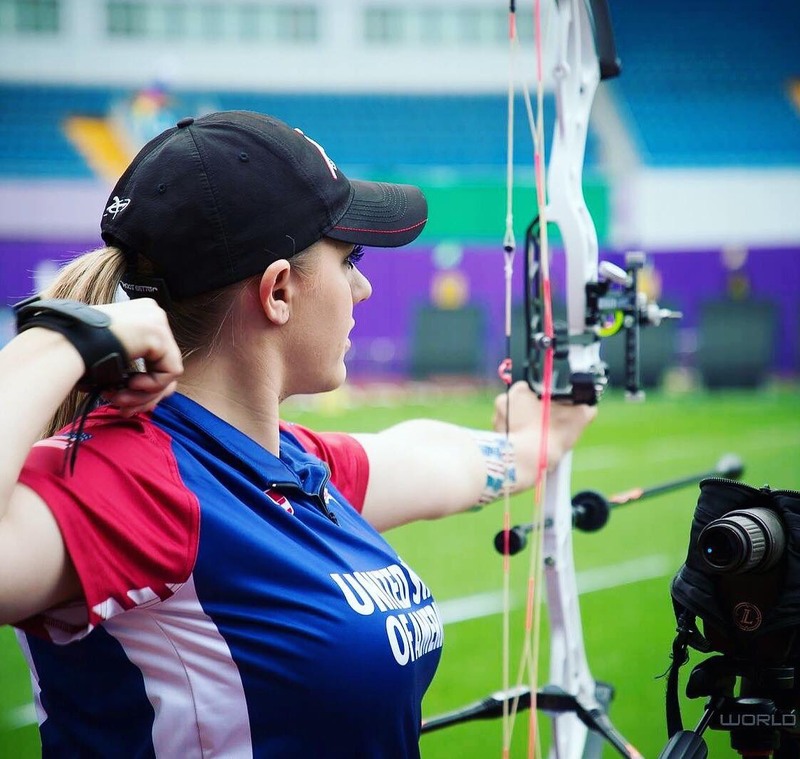 To find out more about Paige, visit https://www.teamusa.org/usa-archery/athletes/Paige-Pearce.